I was totally addicted to listening to this book! 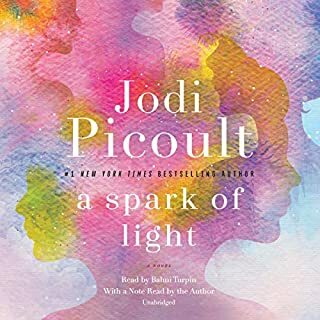 Throughout her blockbuster career, number-one New York Times best-selling author Jodi Picoult has seamlessly blended nuanced characters, riveting plots, and rich prose, brilliantly creating stories that "not only provoke the mind but touch the flawed souls in all of us" (The Boston Globe). Now, in her highly anticipated new book, she has delivered her most affecting novel yet - and one unlike anything she's written before. 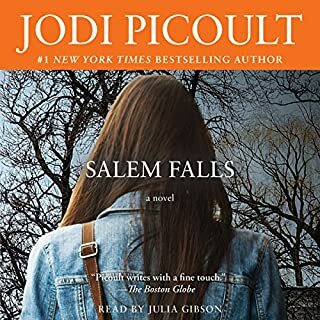 For more than a decade, Jenna Metcalf has never stopped thinking about her mother, Alice, who mysteriously disappeared in the wake of a tragic accident. Refusing to believe that she would be abandoned as a young child, Jenna searches for her mother regularly online and pores over the pages of Alice's old journals. A scientist who studied grief among elephants, Alice wrote mostly of her research among the animals she loved, yet Jenna hopes the entries will provide a clue to her mother’s whereabouts. Desperate to find the truth, Jenna enlists two unlikely allies in her quest. The first is Serenity Jones, a psychic who rose to fame finding missing persons - only to later doubt her gifts. 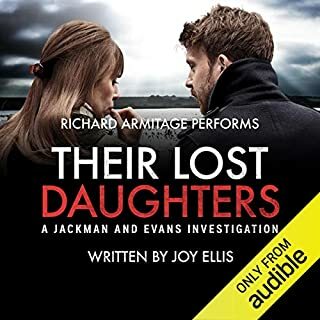 The second is Virgil Stanhope, a jaded private detective who originally investigated Alice’s case along with the strange, possibly linked death of one of her colleagues. 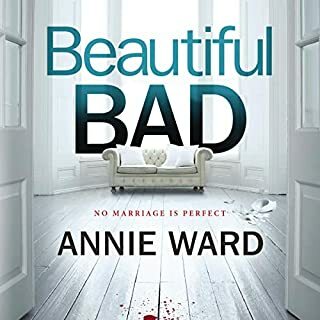 As the three work together to uncover what happened to Alice, they realize that in asking hard questions, they'll have to face even harder answers. As Jenna's memories dovetail with the events in her mother's journals, the story races to a mesmerizing finish. 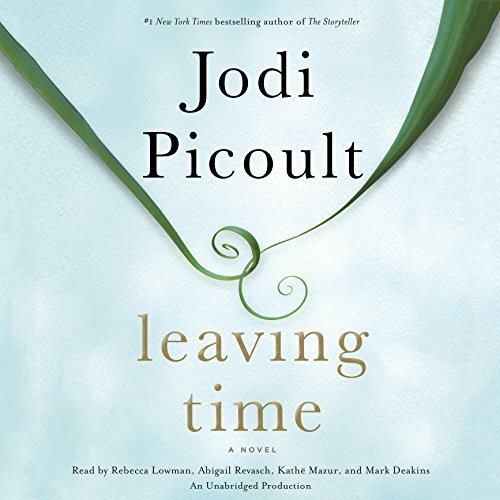 A deeply moving, gripping, and intelligent pause-resister, Leaving Time is Jodi Picoult at the height of her powers. I really enjoyed this book, the narrators are fantastic, a beautiful side story of elephants with a great mystery and a twist that really surprised me. Enjoyed the story very much, especially the intertwined anecdotes on elephant emotional & social intelligence. Apparently the author used many real stories from the Elephant Sanctuary in Tennessee. Oh my gosh, such an amazing story. So detailed, so deep, many "wow" moments. I usually buy 1 book a month, but I just couldn't stop listening to this book. A much read/listen. 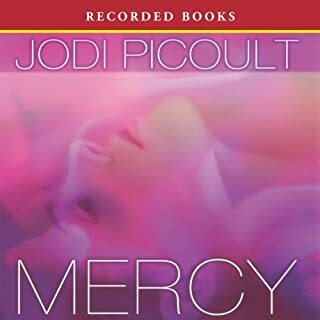 Looks like I Will be buying another Jodi Picoult book! I am a HUGE fan!!! i love th endings of her books, she goes into detail on the book and its history/present on thing's. Ms. Picoult has always been an average author for me. One that took advantage of current moral issues in society and exacerbated them into novels. This novel is so strong, so raw, and so captivating.. it is almost literature. I have never experienced an author that went from sophomoric to exceptional in one novel. The metaphoric parallels between humans and elephants are mesmerizing...but the book is not about elephants. The parallel between life and death allows us to suspend reality easily and without thinking,.. but the book really isn't about life and death. 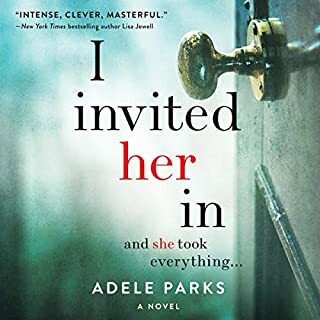 No matter what your reading preferences are...love story, mystery, suspense, or nature.. you are going to be glad you opened up this book and listened. Narration is stellar. I have nothing negative to say about this novel. Picoult has arrived. Where does Leaving Time rank among all the audiobooks you’ve listened to so far? 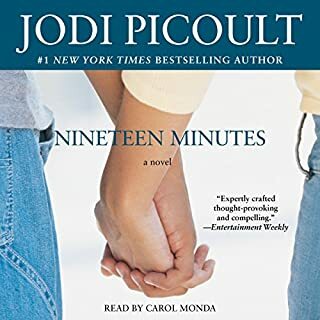 One of the best books I have heard on Audible. The narrators were excellent, the story line was tight even though it bounced around in terms of the point of view. Really happy I went out on a limb and ordered it. What was one of the most memorable moments of Leaving Time? The most memorable moment is the plot twist. 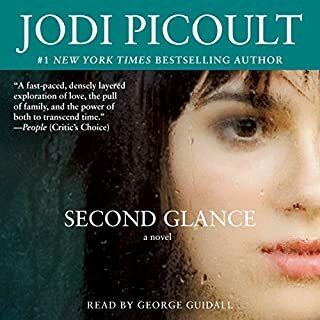 Didn't see it coming, but when it happened, Jodi Picoult had left little clues that all wrapped up perfectly. Won't give it away here tho...don't want to ruin it for everyone. The distinctive voices, and the great emotion in the performance. Not an extreme reaction...just really surprised and happy with the book itself. I love that Jodi wove her passion to help and protect elephants into the book, and while the story doesn't go too far into detail about elephants, you do pick up a lot of facts about these wonderful animals. Loved that this was like a thriller/romance/fantasy/sci-fi/planet animal channel all mixed into one. A breakthrough. Surprising, moving, and amazing. 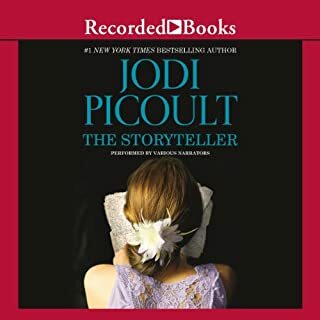 I have read many of Jodi Picoult's novels, and until Leaving Time, my hands down favorite had been The Storyteller. 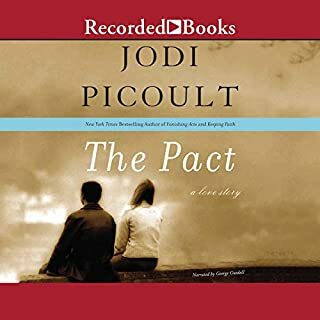 I came to Picoult backward- starting with The Story Teller, and then moving back in time to her previous works. It wasn't hard to see her formula, her pattern, and actually, her evolution as a writer. It was clear to see that with The Storyteller, Picoult had taken huge leaps, taken big chances. With Leaving Time, Picoult has taken even bigger leaps, and done them with grace and care. Leaving Time is an amazing, and deep hearted book. The fact that I wept means more to me than it will to anyone else, but they were not tears of sadness. Sometimes when the heart breaks, there are only tears of love. Her Best Yet--and that is really saying something! Would you listen to Leaving Time again? Why? Absolutely! 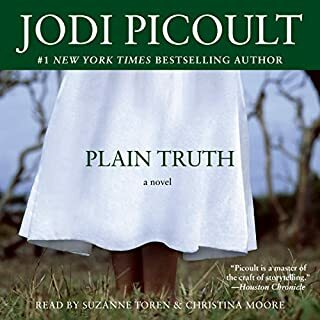 I am a huge fan of Jodi Picoult books, but this one is by far the best!!! Yes! They always do! Since I read lots of her books, I expect the unexpected, but I never figure them out! Hold on---it's quite a ride--an elephant ride! 1. Her meticulous research equals a book that entertains and educates the reader in that sneaky way that leaves the reader more knowledgeable from the sheer joy of partaking in the story! 2. Twists, turns, and more twists! The reader is never going where he or she thinks they are! 3. Even if you are expecting the unexpected, you will still never know what is coming at the end! 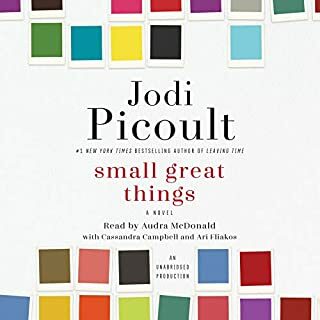 Mrs. Jodi Picoult has a talent for transforming simple words on paper and turning them into absolutely beautiful ART! Not at all the story I expected! Wonderful! Very powerful--definitely will be listening again! Incredible research into elephant culture was amazing to hear. Multiple narrator's enhanced the performance. Yes, and now I want to start over and listen to it again. Excellent book with twists and turns that are not predictable. Excellent read. I could not put it down. I didn't listen to the whole thing in one sitting. I listened to it driving from ATL to NV and back, running, on the elliptical trainer, before I sleep. I finished it in about a week. The Book that touches your Soul! Within the top 3, and I have read over 5000 books thus far. When Morgana throws the stick that says Sweetie on it to Jena. Cry, but mostly stop and take notice. She is one of my favorit authors, she writes fiction and at the same time she teaches you about incredible issues in the world, learn and enjoy a great book at the same time. Can't go wrong. Up There With My All-time Favorites! This book did not disappoint on any level. I couldn't wait to get back to it and finished it in a few days. I think it will remain hovering in my mind for a long while. Buckle you seat belt, put on your headphones, grab a few tissues, and prepare for a ride you will likely not forget. 13 year old Jenna cannot imagine how her mother, Alice Metcalf, could have abandoned her as a very young child. A long-term employee at the elephant sanctuary was trampled by elephants and her mother, Alice, was injured. Subsequently, Alice disappeared from the hospital mysteriously leaving Jenna to grow up in the care of her grandmother. 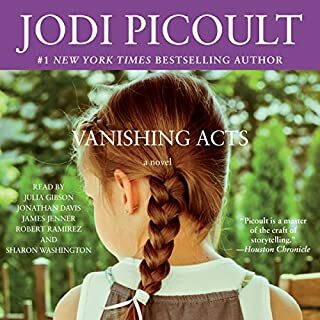 In an attempt to obtain some closure, to find out if her mother was actually alive, and to learn why she was left behind with an unstable father, Jenna enlists the help of two very unlikely advocates. 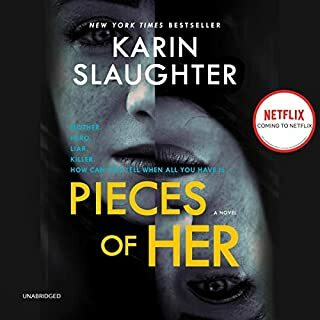 She secures help from a disgraced psychic and an alcoholic ex-cop and begins her journey to clarify exactly what her mother's motives were when she abandoned her 3 year old daughter. 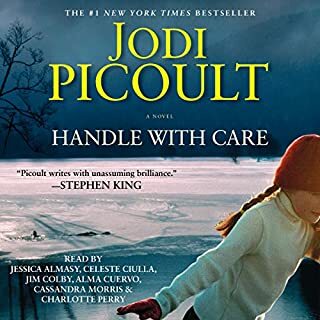 In addition to Jenna's current day search, this book is to a large extent derived from Alice Metcalf's journals of her days at the New Hampshire elephant sanctuary that she ran with her husband, Thomas, and several close associates. Throughout the book, we are educated on the plight of elephants. 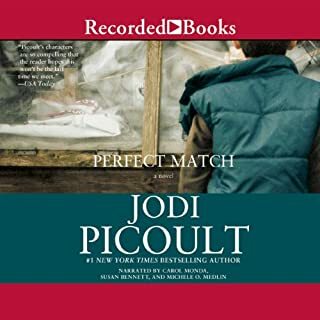 Picoult's elephant stories and educational information are true, many of the anecdotes coming from events at an actual elephant sanctuary in Tennessee. The stories of the elephants and the plight of Jenna and her friends tears at your heart. The ending was totally unexpected and demands that you let loose your preconceived notions and stretch your imagination a bit. I was emotionally drained at the end of this book but somehow, it was a satisfying and appropriate ending. A tad bittersweet, you can imagine, as you cannot read about elephants and not feel heartbroken for them. For Jenna, however, there was a satisfactory resolution. So, prepare yourself to be surprised and impressed. 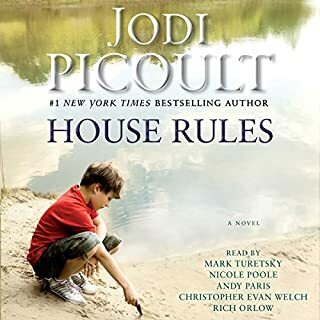 I loved this latest Picoult story--the author really outdid herself this time. Highly recommended! The Storyteller was my first encounter with JP and I thoroughly enjoyed that book. After reading the reviews of this book, I decided to give it a chance and I am completely delighted that I did. I intentionally planned to hit freeways with lots of traffic so that I would have extra time to continue listening. Other reviewers have mentioned the plot twist and it's a doozy. I enjoyed replaying the scene the same way I like replaying key scenes from favorite movies. 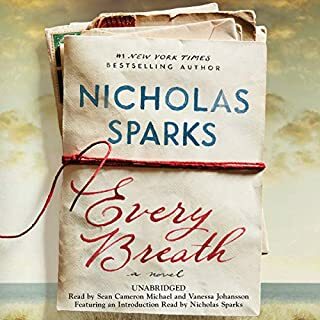 This book is a treat to listen to and like any good book you just wish the story would go on.